6160 County Road 32, Canandaigua, NY.| MLS# R1158298 | Largest Real Estate Sales and Property Management Company in The Finger Lakes and WNY. This property is also available with all 50 acres for $449,000. This is a classic, log sided home built by the present owner in 1983. The 50 acres includes approx. 35 acres of beautiful, mature hardwoods, two substantial, spring fed, stocked ponds, abundant wildlife, well maintained trails, stream, two wooden bridges, fenced garden area, storage barn, 40' X 20' X 13' covered RV/boat storage. Two 120 gal. propane tanks (above ground) Phelps Sun Gas (central F.A. gas furnace) and a Vermont Castings "Defiant" wood stove. 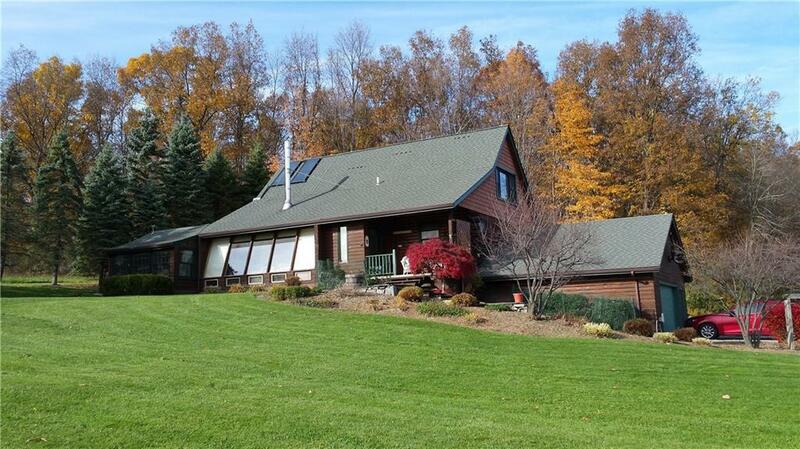 This is an exceptional, country property only 4 miles from Canandaigua. By Appt. only please. Directions To Property: From Canandaigua, Take Main St. To Bristol Street (Rte. 21 South) To County Road 32 (Bristol Road) For Approx. 4 Miles. Sign On Property. Nearest Cross Street: Hickox Rd.